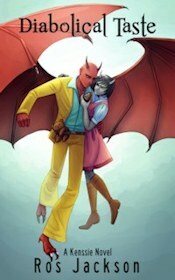 Why do I have to be Aquaman? 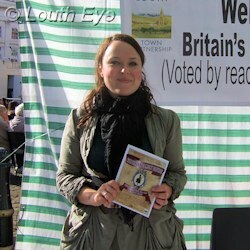 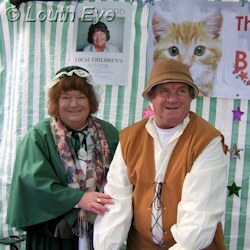 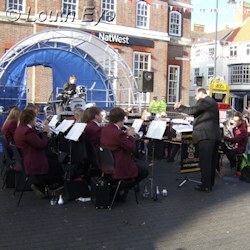 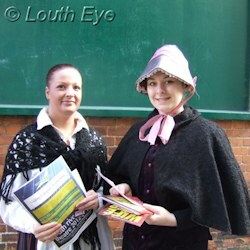 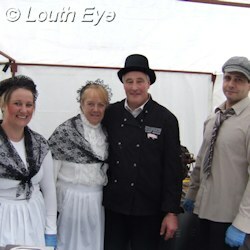 The weather was good, and the crowds came to the 2012 Victorian Family Fayre organised by the Louth Town Partnership. 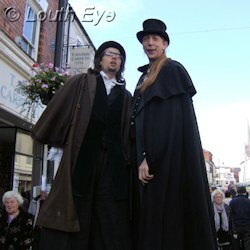 Entertainment included stiltwalkers, street theatre and music from a range of groups and individual singers on the stage in the town centre. 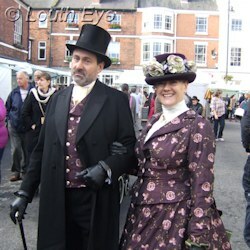 The event was the biggest Victorian Fayre to date, stretching from Mercer Row to part way down Eastgate. 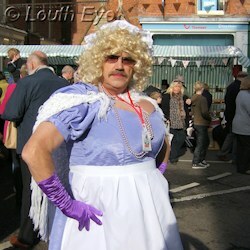 Highlights of the day included street theatre featuring the quack Dr Bogus and his hapless patient, and Councillor George Horton dancing to YMCA in Victorian panto drag. 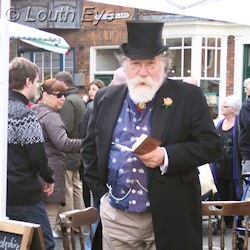 It was nice to see so many people making the effort to get dressed up for the occasion, including most of the stallholders. 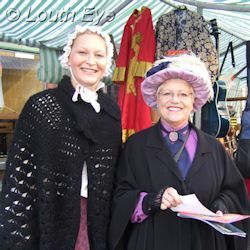 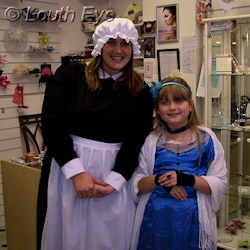 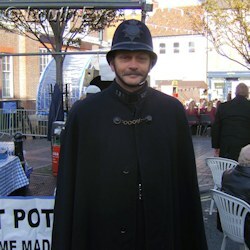 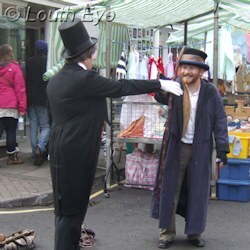 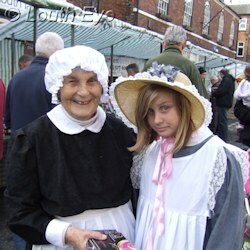 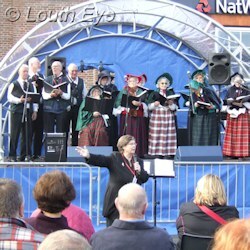 The 2011 Victorian Fayre was very successful as well. 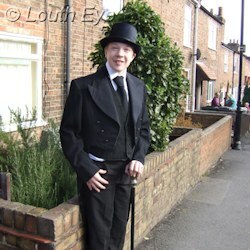 Hopefully this is a tradition the people of Louth can look forward to for many years to come. 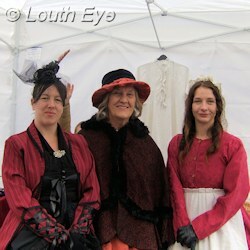 The 2013 annual Victorian Family Fayre featured stalls, entertainment, and dressing up. 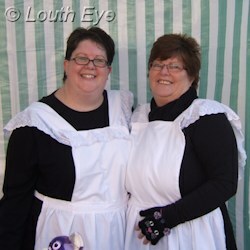 Nostalgia rules as Ludensians hark back to the days of corsets and consumption.